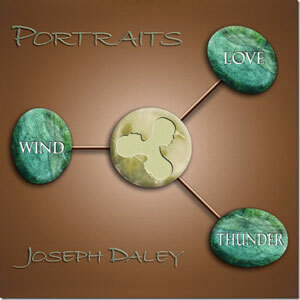 The tumult of Joseph Daley’s albums, The Seven Deadly Sins (Jaro, 2010) and The Seven Heavenly Virtues (JoDaMusic, 2013) has abated, only to make way for another fine recording, this time a series of three profound sketches Portraits: Wind, Thunder and Love. All three albums are musically rich, extravagant productions and serve to give notice that Joseph Daley is an astute composer and an exquisitely detailed arranger. His methodology for composition and performance is the employment of an enormous palette which he wields like a painter set to create a most wondrous musical mural the likes of which will fill a room. Here, his use of instrumentation that includes the use of an ocean of strings, orchestral percussion by the ineffable Warren Smith and two horns in the final selection of this recording provides further evidence of Mr. Daley’s complete mastery of his palette. In fact the portraits that he creates are finely divined and bring to life not only masterly musical colours and textures, but also musical characters that the listener can hear and almost see them as if they were presented in a kind of dancing musical hologram. The visual experience is heightened by a tremendously well-rehearsed string orchestra in which two great musicians Warren Smith and Bill Cole participate. This is by no means intended to suggest that the third portrait—of Mr. Daley’s wife is any less interesting without a singular guest artist. 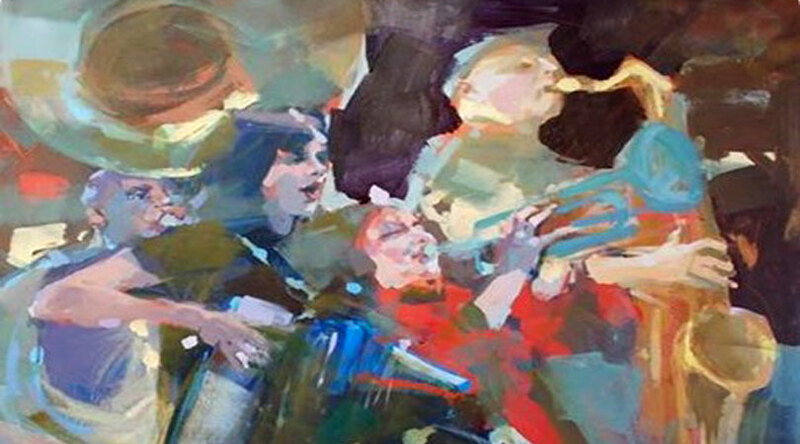 In fact all three portraits are engaging and involving because they are richly orchestrated. Orchestration is Joseph Daley’s other forte. As an arranger he seems to have a deep and almost uncanny understanding of strings and the relationship that the various strings instruments have with one another. Melding the gradual depth of the family from violin to double bass is something Mr. Daley writes for exceedingly well. Their colours and textures and the timbre of each is singularly pronounced in “Wispercussion.” The manner in which the string section intertwines in both bowed and plucked sequences is magical. And when Warren Smith employs his battery of percussion the effect is melodically, harmonically and rhythmically outstanding. In this miniature, Warren Smith has warmly turned the performance of this selection from Joseph Daley into an attractive and expressive musical excursion. “Shadrack” begins with a wailing nageswaram, an Indian double reed that Bill Cole plays with rapturous beauty. The piercing ululations of the horn are interwoven with the strings that enter after Mr. Cole has had his say with thrilling abandon. A feature of his playing that is too often ignored is its spiritual quality. This was something that inspired Mr. Cole throughout his life as he made music of immense import. The heartfelt nature of “Doretha and the Blues” is almost palpable and Mr. Daley cannot be blamed for being unable to distance himself with the love of his life: his wife Wanda. The languid warmth of the orchestral odyssey is punctuated by pithy statements that serve to give real shape to this extravagant blues. Whatever Joseph Daley comes up with it is going to be hard to top these three albums, but that future music is surely going to be interesting to say the least.